Salty caramel tea - Monsieur T.
A treat that will make you forget your daily life little disappointments such as: convenience store sandwiches, American politics and "yes men" people. This popular candy flavor, to which some devote a worship that goes back centuries, can now be enjoyed in a cup for its followers greatest pleasure! You can enhance Salty Caramel with a little sugar and milk for a truly transcendental experience. 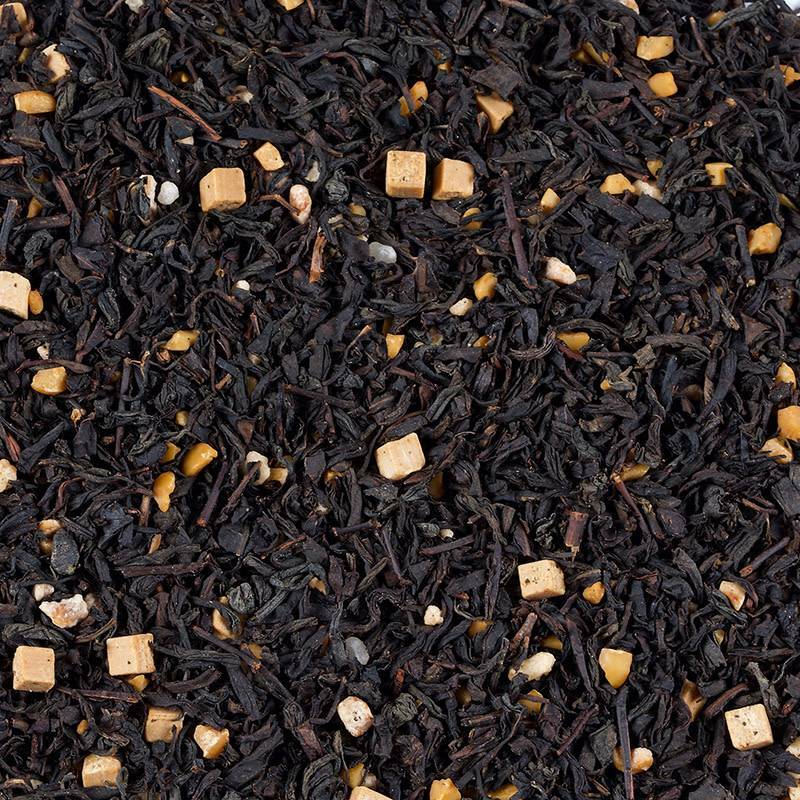 Contains: Black tea (60%), caramel (sweet condensed skim milk, sugar, glucose, molasses, butter fat, wetting agent: sorbitol, emulsifier: mono- and diglyceride of edible fatty acids), almonds, sugar cubes, hazelnuts and invert sugar, pearl salt, flavors.